NEGOSYONG PATOK NGAYON ALAMIN AT SUBUKAN MO ….. – Welcome to my site..! Learn, join. share, earn and help other in business. LEARN TO HAVE A FINANCIAL AND TIME FREEDOM AND ACHIEVING YOUR GOAL, THROUGH ONLINE BUSINESS. Welcome to my site..! Learn, join. share, earn and help other in business. NEGOSYONG PATOK NGAYON ALAMIN AT SUBUKAN MO …..
UNA. HINDI MUNA KAILANGAN PANG PUMILA O MAGMADALI SA PAGBAYAD MO SAYONG KURYENTE, TUBIG O ANUPA MAN DAHIL SA KAPITBAHAY MO KAKATOK KA NA LANG PARA MAGBAYAD O SAYO KUNG MERON KANA NITO…..
IKALAWA. MERON KANG MAPAPALDAHAN NG HINDI MUNA LUMABAS NG LOOBAN O SUBDIVISION SAN KA MAN NAKATIRA MALAYO SA BAYARAN OA PADALAHAN NG KUWARTA SAYONG MAHAL SA BUHAY. IKATLO. KUNG MAGPAPALOAD KA NMAN ITEXT MO LANG NUMBER NG KAPITBAHAY MO PUWEDE KA NA NIYANG LOADAN NA HINDI MUNA KAILANGAN PANG PUMUNTA SA TINDAHAN NINYO O SA MGA LOADING CENTER. IKAAPAT. KUMITA SA PAMAMAGITAN NG AIRLINE TICKETING, KUNG MARAMI KANG KAIBIGAN O KAMAG-ANAK NA PALAGING NAG AH OUT OF THE COUNTRY O MAHILIG MAG ISLAND HOPING SA IBAT-IBANG PROBINSYA DITO, TIYAK KIKITA KA NG MALAKI DITO SA NEGOSYO TULAD NITO. BAKA QUORIOS KA PAANO MO ITO MAGAGAWA O MAGKAROON NG GANITONG NEGOSYO HUWAG KANG MAG ALINLANGAN NA MAGTANONG KUNG PAANO ITO MAKAKUHA NG GANITONG KLASENG ONLINE NEGOSYO…. MAG IWAN KA LANG NG MENSAHE O ITEXT MO LANG AKO SA NUMBER NA 09065974520 OR CALL @ 552-6601 LOCAL NO. 3354 KUNG NAIS MONG MALAMAN AT IBIBIGAY KO SYO ANG DETALYE. Previous postDUDA KA PAG ONLINE NET WORKING MARKETING BUSINESS? BAKIT? HINDI KAYATA NAG AARAL O NAG RE -RESEARCH TUNGKOL SA TRADITIONAL AND FRANCHISING BUSINESS. Negosyong 20% as partime na kikitain mo ay magmumula sa Ticketing, Remittance at iba pa.
DUDA KA PAG ONLINE NET WORKING MARKETING BUSINESS? BAKIT? HINDI KAYATA NAG AARAL O NAG RE -RESEARCH TUNGKOL SA TRADITIONAL AND FRANCHISING BUSINESS. Ecash sa Unified da best! 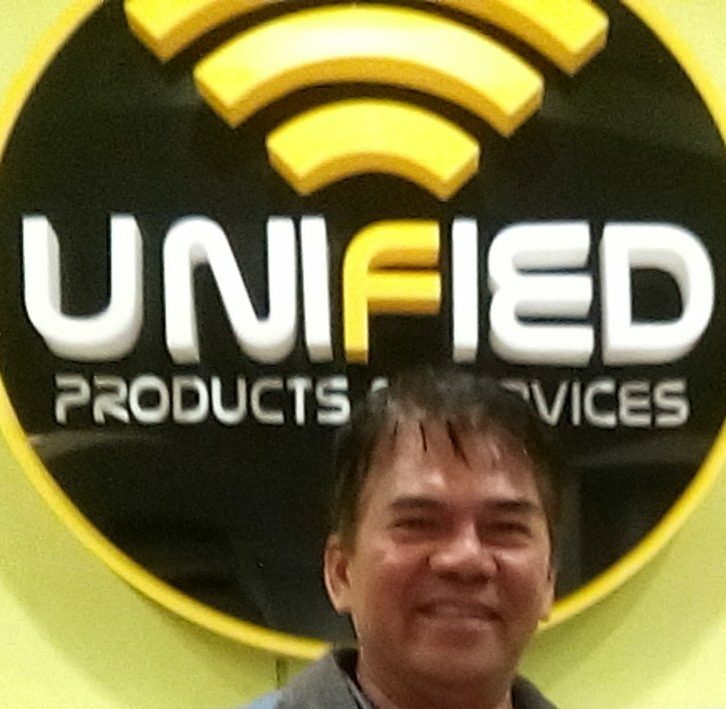 Gusto mo na bang mag “Negosyo?” Mag Unified ka “One Stop Shop” ito! Founder, CEO, Nogskiescholar & MIJOB club, a government employee since 1997 to date, currently an Online Affiliate Marketer and Entrepreneur. To find out more, including how to control cookies, see here: NEGOSYO... Paano ba ito? Alamin at gawin mo ito para sa pamilya mo?